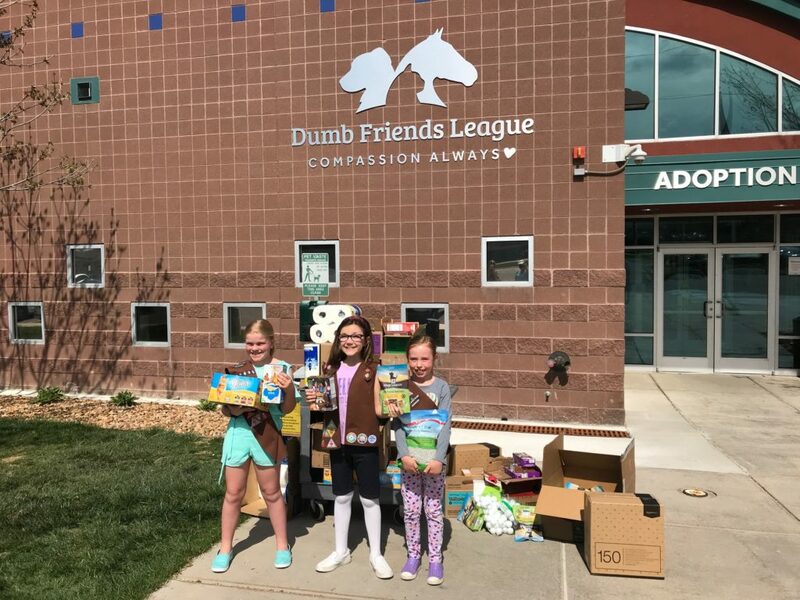 Troop 65698 in Denver delivered 163 packages of donated Girl Scout Cookies to their Hometown Hero, Denver Dumb Friends League, to say thank you to the staff and volunteers who care for and find homes for animals. 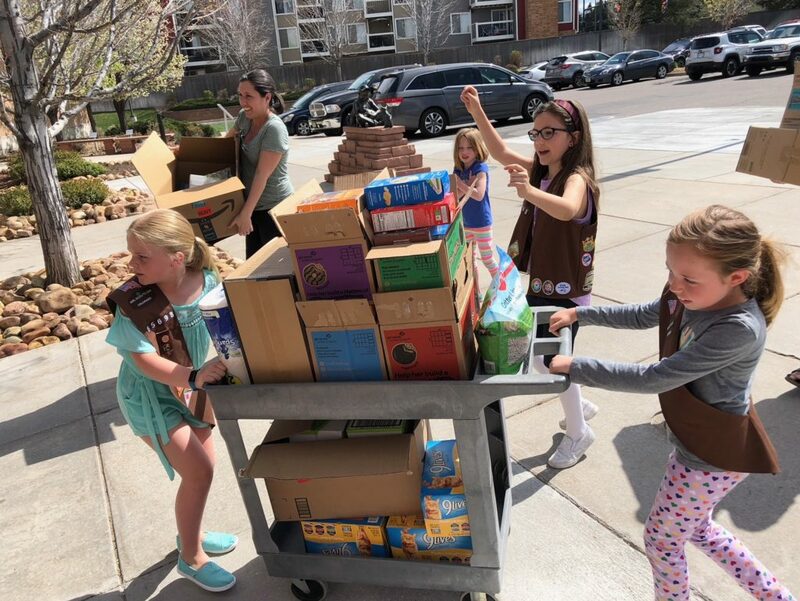 We also earned our Brownie “Pets” badge here earlier this spring, so the troop voted to spend a third of their cookie sale earnings to buy $500 worth of supplies for the DDFL. They donated cookies, pet food, treats, toys, and other wish list items. 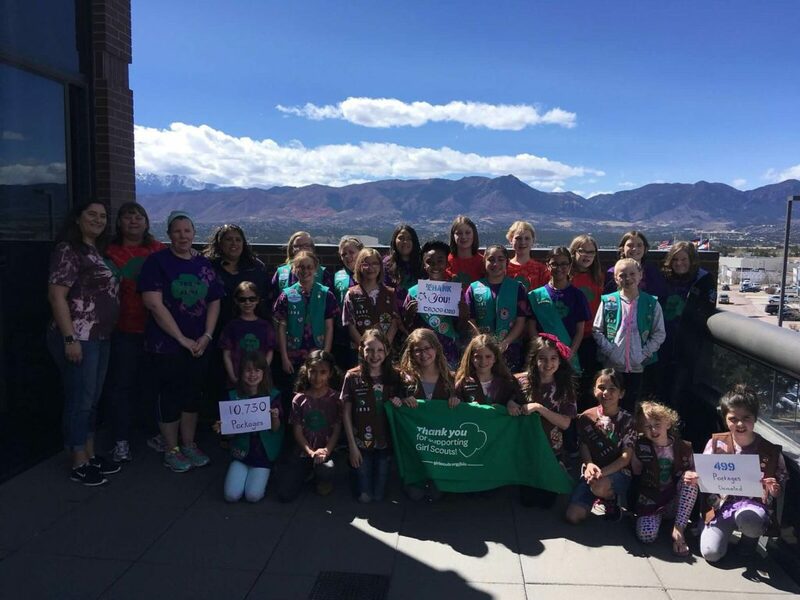 Troop 43893 chose Honor Flight of Southern Colorado as one of our Hometown Heroes this year. This organization transports heroes to Washington D.C. to visit and reflect at war memorials. 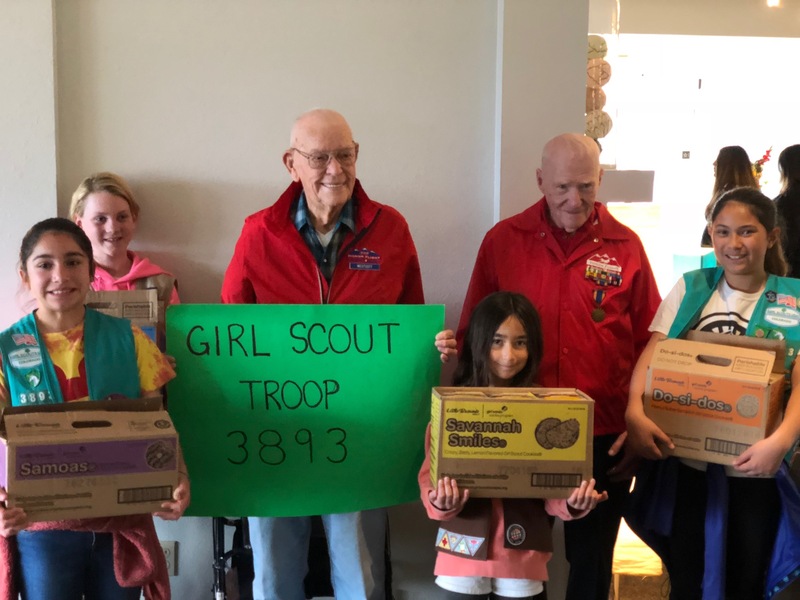 A few of our girls were able to meet two of the amazing veterans flying out on the next Honor Flight and give them 60 packages of Girl Scout Cookies. 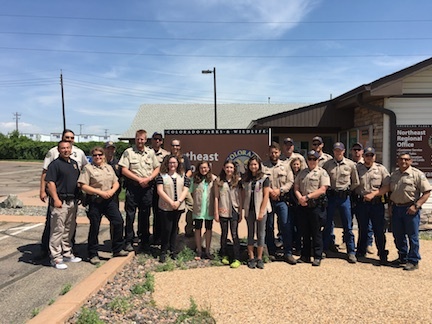 It was a thrill to meet these heroes and send them off to with some delicious treats. 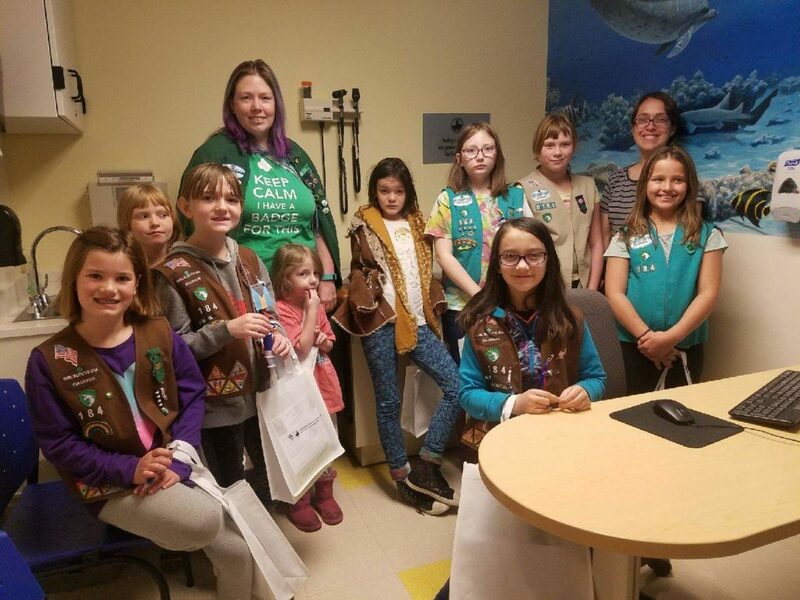 Troop 60184 donated 243 packages of Girl Scout Cookies to our Hometown Hero, Barbara Davis Center for Childhood Diabetes. 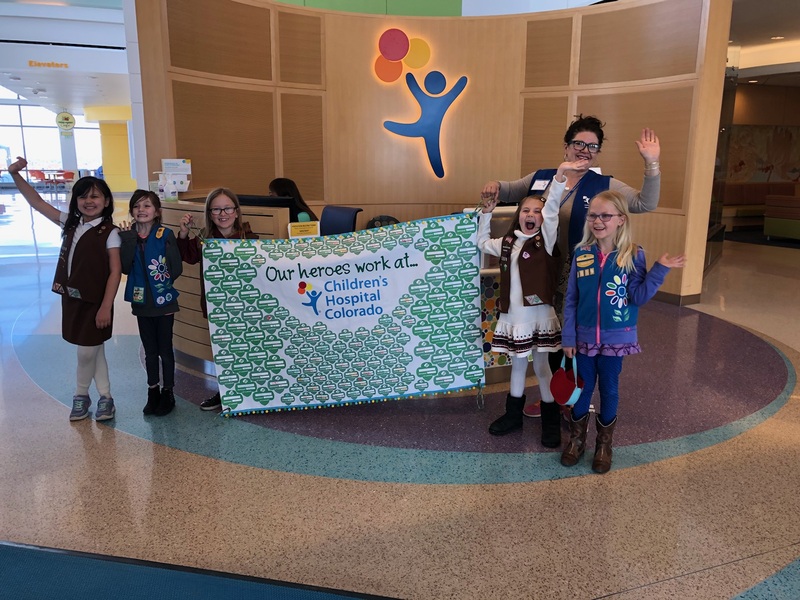 Girl Scout Troop 65889 donated 329 packages of Girl Scout Cookies to the Children’s Hospital Colorado, South Campus. 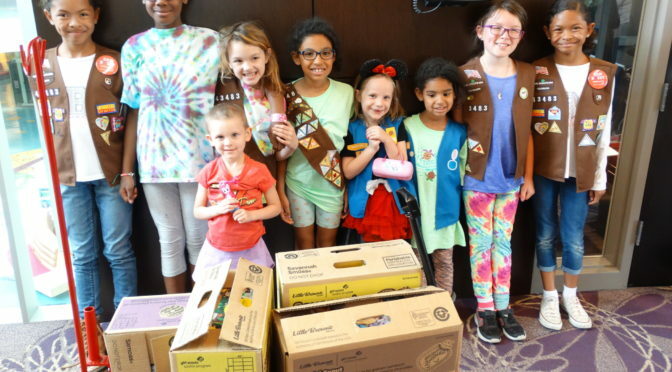 During their cookie booths this season, the girls filled out donation slips for each customer with their name and amount they contributed. 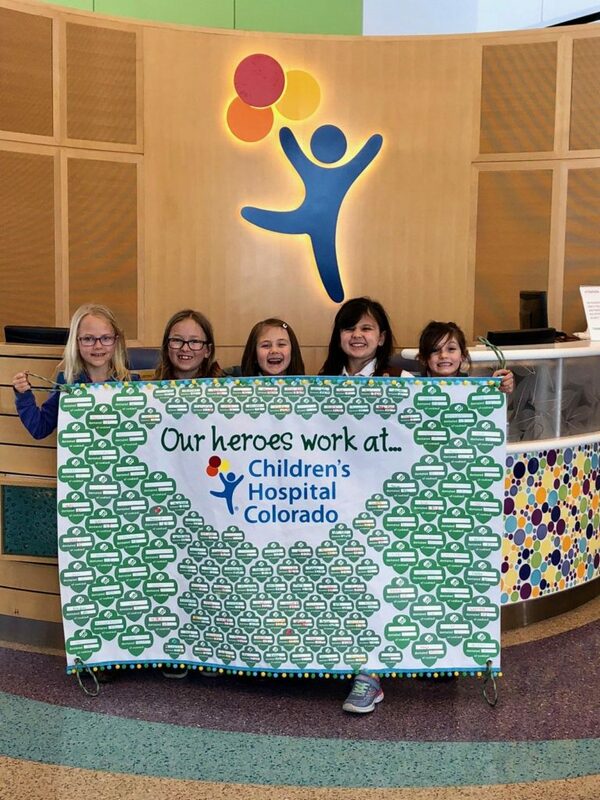 We made a banner to show how many people in the community support the hospital. Walden’s multi-level troop recently participated in a first aid class with Christine Redman, their troop leader and lifeguard instructor, and Matt Blecha, a local firefighter, EMT, and Emergency Outdoor Specialist. During the session, each girl learned basic first aid and made her own first aid kit. 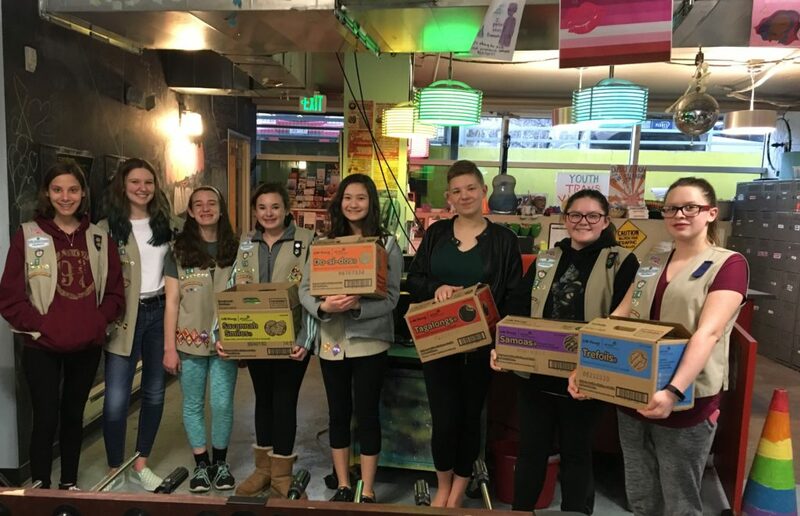 Later that week, the troop donated packages of Hometown Hero Girl Scout Cookies to their high school girl’s basketball team, the North Park Lady Cats, who are headed to state championship playoffs for the first time in nine years!